Infinity brochures are now available for purchase! 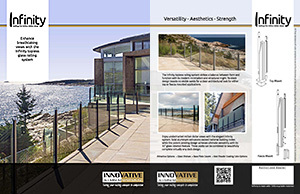 – Innovative Aluminum Systems Inc.
Home/Innovative News/Infinity brochures are now available for purchase! Please click the thumbnail below to see a preview of the new finalized Infinity brochure. The two sided 8.5×11 brochures look great and are available to for only 35¢ a copy.